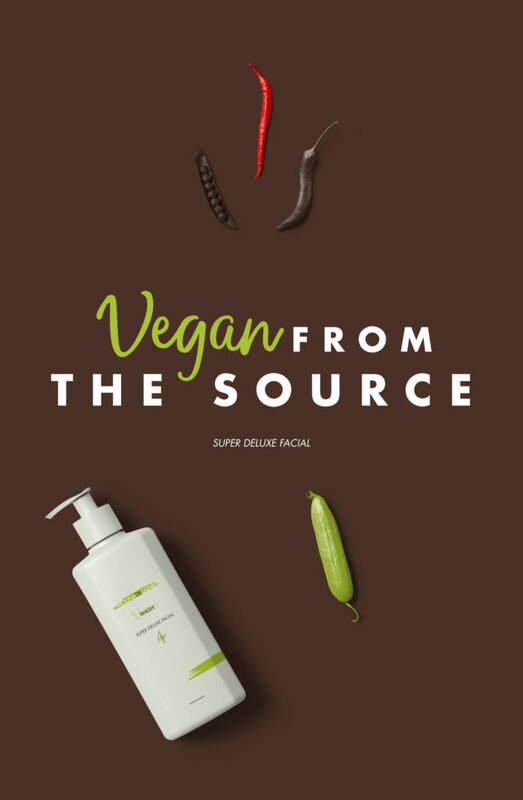 Mouna de Laine is a skincare line that uses vegan-friendly, naturally sourced ingredients in their products. 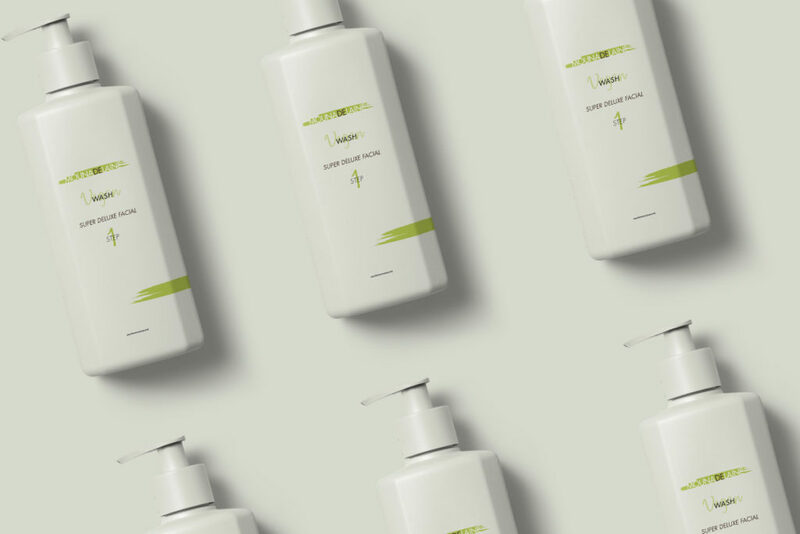 The company works alongside integrative medical professionals, naturopathic doctors, and biochemists to ensure their products are not only great for people, but great for the planet, too. One major challenge of creating this design was to give the product a look that instills trust and consumer confidence. Typically, consumers will stick to a known brand in order to prevent skin breakouts and/or irritation. 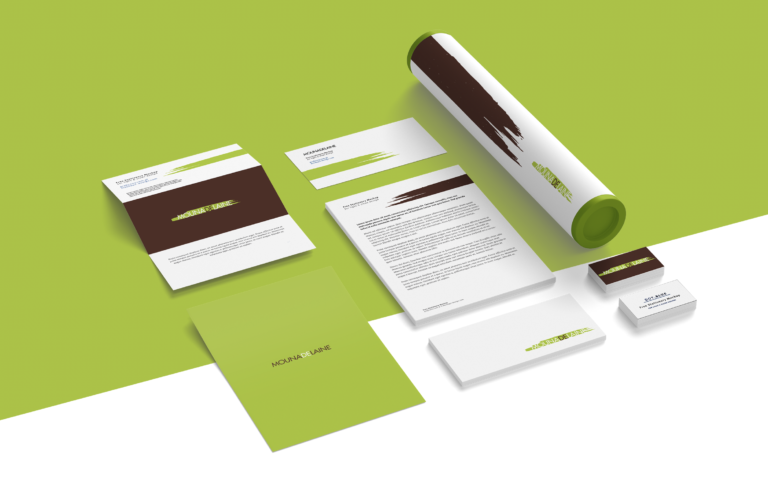 To achieve this, earthy tones were chosen for the base colors of the packaging. 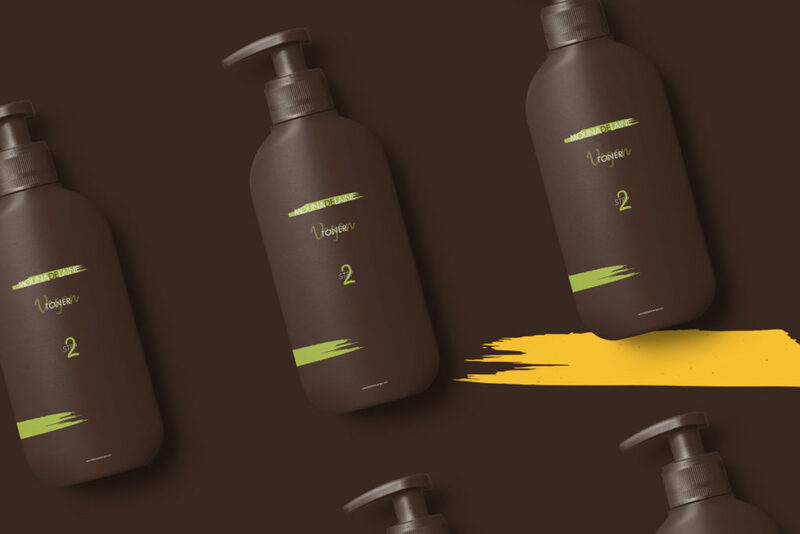 The text and graphics on the front of the packaging give these products an understated appearance, allowing the honesty of the products’ purity to shine through. Clarity of purpose was also a driving factor in developing the product’s design. 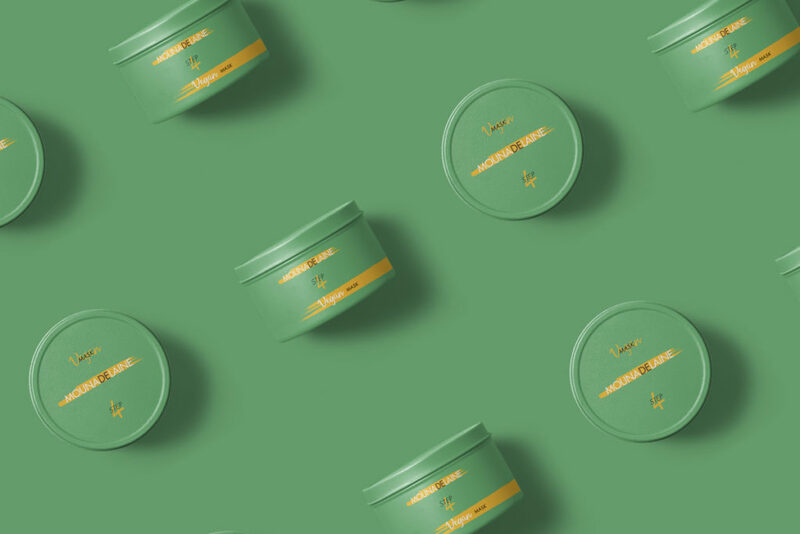 The concept of the Mouna de Laine product line was to create packaging that emphasized the simple, wholesome nature of the products. The colors not only echo tones present in nature, but their muteness also suggests the product will be delicate on the skin. The logo and text are in a sans serif font that is easy to read on a single-color background. The words Mouna de Laine appear to only be revealed once the product is smeared/applied. This is to demonstrate that the full healing and restorative nature of the products are only fully realized once the product is personally tried by the consumer. The logo conveys the products’ utility, but also gives the brand a unique personality that is repeated across the product lineup. 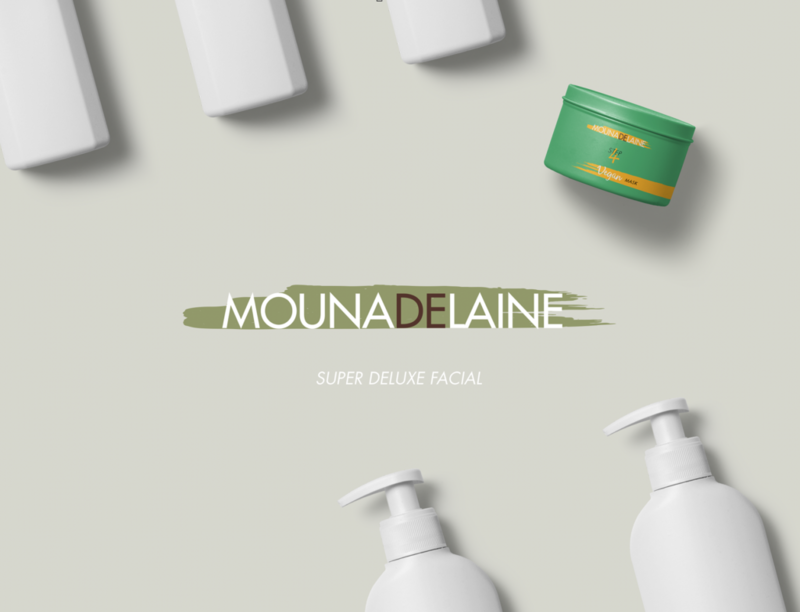 The color scheme of each package also helps consumers differentiate from the various products offered by Mouna de Laine: step washer, toner, mask, and facial scrub. The plastic used in the packaging is 100% recyclable. This is just one way in which the product retains its Earth-friendly position. The launch of the Mouna de Laine product line was a success. 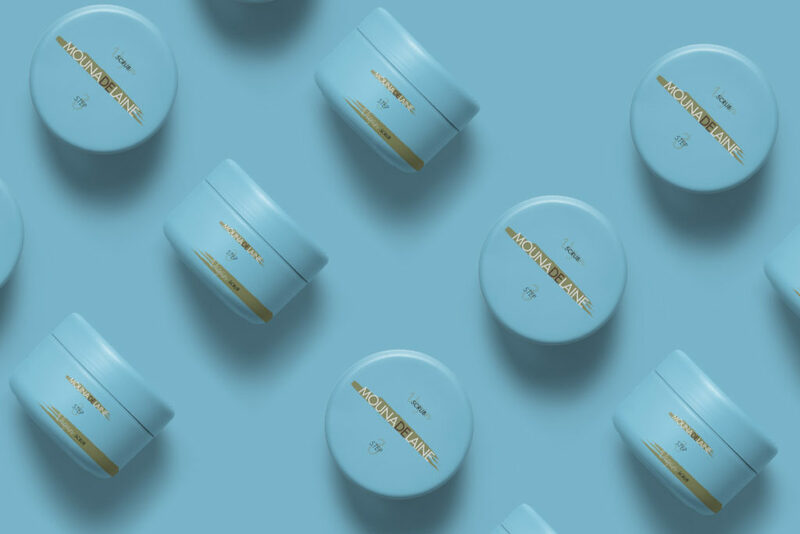 These products can now be found in national pharmacies, specialty shops as well as the Moroccan spa operated by the product’s namesake.